With the London marathon looming next weekend, runners from across Universal Music - Shiarra Bell, Adam Bulleid, Gavin Fraser, Rosie Gee, Neil Mulford, Alex Trown and Rachel Tregenza - have been spending the last couple of months training and fundraising for their 26.2 mile run. 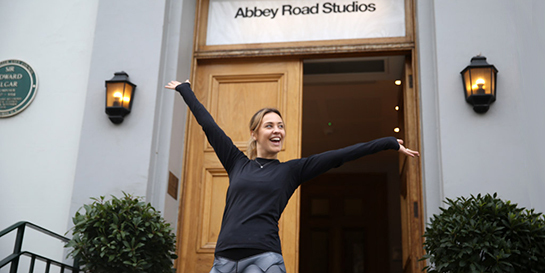 Alex Trown (above), event manager at Abbey Road, is aiming to raise £2500 for Hope and Homes for Children, an international charity who work to reform the welfare system by enabling children to grow up with loving families and closing down damaging orphanages. Alex is running for all the children who are still stuck in welfare systems, as well for the children who have made it out to the other side, including her little cousin. Shiarra Bell, head of artist relations at Polydor, is running to fulfil her promise to close friend Nicki, who was tragically taken by cancer last year. Nicki asked Shiarra to run and raise money for the foundation created in her name, The Nicki Waterman Foundation, with donations raised by the foundation going towards Brain Tumour Research who fund research into the cancer. The institution was set up after figures showed that only 1% of national cancer research spend was allocated to brain tumour research, despite the fact that it kills more children and adults under the age of 40 than any other cancer. Adam Bulleid, Globe’s senior business development manager, is running for his mum Jacqui, who sadly passed before being able to run the marathon for her milestone 60th birthday. After seeing her read all about Tommy’s baby charity and all the work that they do, Adam decided to raise money for them in her name. Tommy’s donates funds to research into pregnancy problems and complications such as miscarriages, stillbirth and premature birth, and provides pregnancy health information to parents to help save babies lives and look after their wellbeing. Also from Globe, head of rights management Neil Mulford, wanted to get back in his trainers and start physical exercise again, and after being approached by The Haematology Unit at UCLH for a place in the London Marathon, he couldn’t turn down the opportunity to raise money for the UK-based community charity who specialise in treatment of blood cancers. Their funds go towards state of the art medical equipment to provide care and treatment for patients with Leukaemia, Lymphoma, Myeloma and red cell disorders such as Sickle Cell. 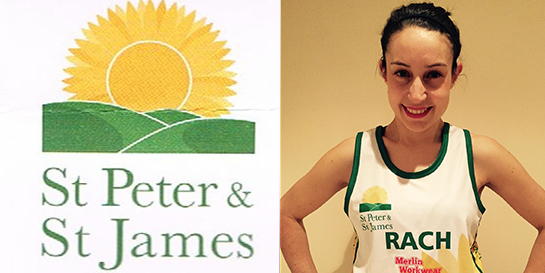 Island press intern Rosie Gee will be running with three ex-colleagues on behalf of The Christie Charity based in Manchester. Her former boss and founder of the Living Ventures restaurant group Tim Bacon, succumbed to terminal cancer in 2015 but was cared for in a hospice run by The Christie Charity. Only partly funded by the NHS, Rosie is set on raising at least £5000, as the non-profit organisation relies heavily on donations to fund cancer information centres, services and modern developments, most recently raising money for newly opened Teenage and Young Adult unit. For UMC’s A&R consultant Gavin Fraser, the marathon is something he’s always wanted to do and is running for Meningitis Research Foundation. Meningitis has affected his family over the years, but due to the hard work the MRF carry out, full recoveries were made. MRF is working towards improving survival rates and a world free from meningitis and septicaemia by funding research to prevent the life-threatening conditions, as well as promoting education and awareness, and supporting those affected. The Universal Music charity office is keen to support all the runners across the business in the strenuous run, and will be matching up to £250 of donations to everyone taking part.